Also this week we had Swimming Awards-Holy Cross Catholic Swimming Team was placed first overall in the Papatoetoe Primary school Swimming Event. Grace Aziz, Emily Raukura, , Tanekaha Kingi and Kiritea Te Reo were in the Swimming team from the Tumanako Syndicate. 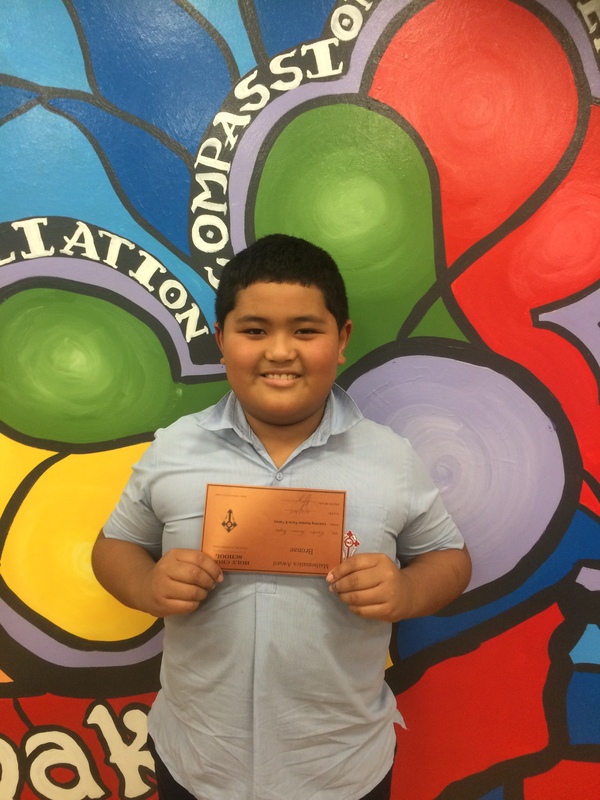 Well done to Carter Ioapo Turner From Room 12 received his Bronze Award for known time tables.